Handcrafted luminaires for exceptional spaces. Are you happy to continue to receive emails from Nulty Bespoke? Reflective copper luminaires combined with a dark timber backdrop provide an intimate, warm glow. To match its fresh approach to modern Mediterranean cuisine Haz Restaurant has been given a new and exciting interior identity. 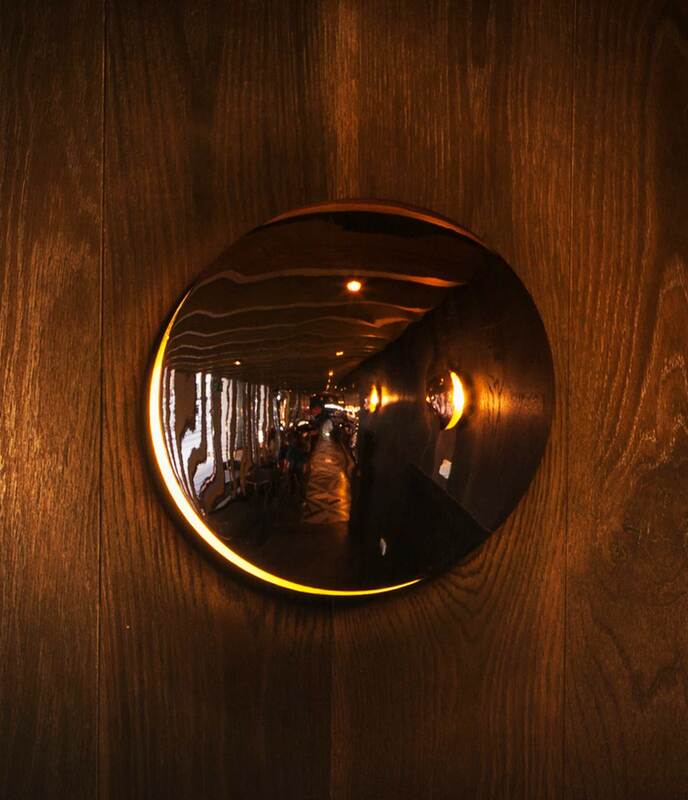 Our role in the renovation was to create nine custom lighting pieces for the restaurant’s dark timber walls. Our handmade circular wall lights have a polished copper-spun shade that is offset from a wall-mounted satin brass plate. The reverse of each shade has a white finish to reflect the light of the LED lamp, which sits between the shade and plate. The bespoke light fixtures resemble open seashells and radiate a warm glow that illuminates the textured timber. The angle of each shade is adjustable allowing the distribution of light to be easily altered, for a different effect. 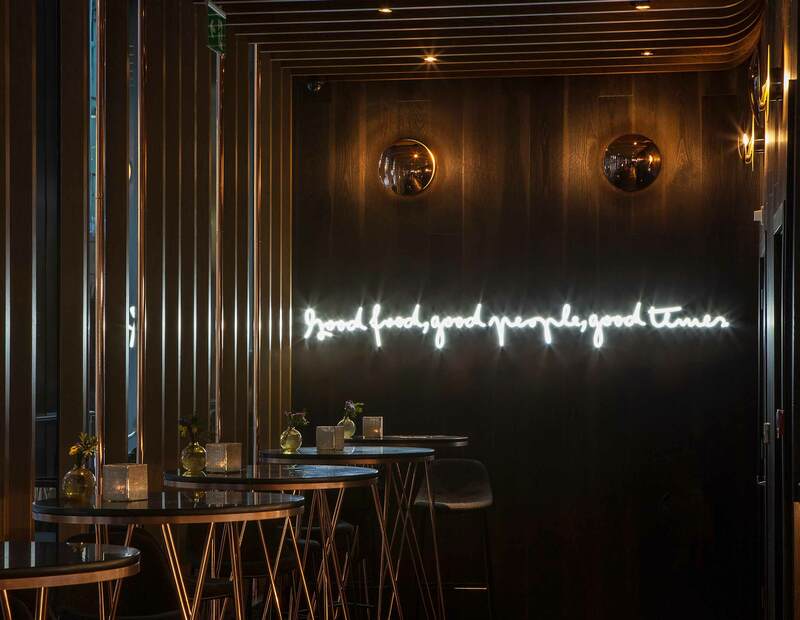 Designed with integral dimming, the custom-made luminaires add emphasis to the timber walls that frame either end of the restaurant, and they enhance the intimate feel of the space.